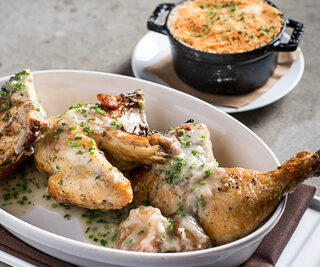 Chef Garces puts a modern spin on traditional Spanish tapas in a gorgeous contemporary-rustic backdrop. Specialties include lobster paella, tortilla española and a whole roasted suckling pig. Specializing in fresh tacos, margaritas and good vibes, this fast-casual taco concept will tantalize in a laid-back, beach-bum décor. 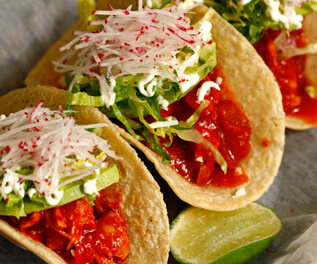 Authentic and fresh cuisine celebrating the culture of Mexico City in a colorful and energetic environment. Full bar with 100+ tequilas. 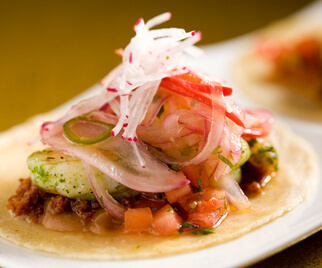 Distrito is a vibrant celebration of the culture and cuisine of Mexico City. 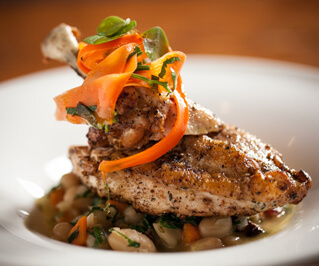 Delicious food crafted with farm-fresh American grown ingredients. Open and airy concept conveniently located near 30th Street Station. 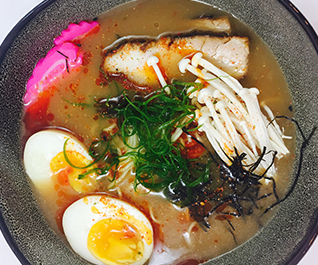 Okatshe (pronounced Ō- kaht-she) is Chef Jose Garces’ playful, modernized take on a traditional Japanese izakaya. Okatshe visually transports guests to the streets of Tokyo. Inspired by the tranquil beach town of Olón, Ecuador and the vibrancy of coastal culture, Olón (pronounced Ō-lon) provides Tropicana guests with a classically alluring, laid-back experience centered around Chef Jose Garces’ vision of fresh seafood. 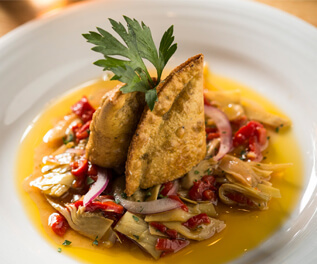 Located in the LUMA Hotel Times Square, Ortzi is Chef Garces’ second New York concept. 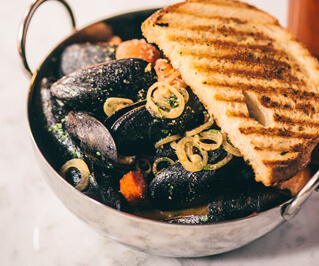 With cuisine inspired by the Basque Country of Northern Spain this cozy restaurant is a great addition to the Bryant Park neighborhood. Refined and historical ambience serving oysters on the half shell alongside a smart menu of traditional bar snacks and cocktails. 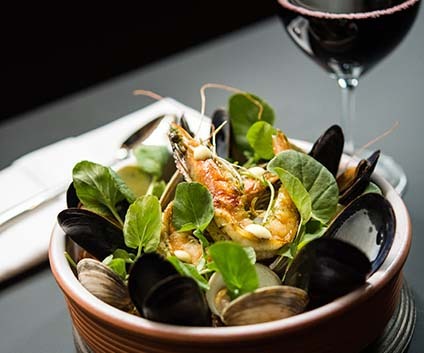 Inspired by the Basque Country of Northern Spain this cozy restaurant features house specialties such as duck montadito, shrimp & chorizo brochettes, short ribs bocadillo and a 60 bottle wine list from the Basque region. 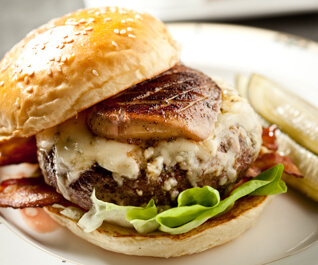 The best damn burgers in town with a SERIOUS drink menu makes this an after work hot spot. PLUS more whiskey than you can fathom. Where food becomes art. 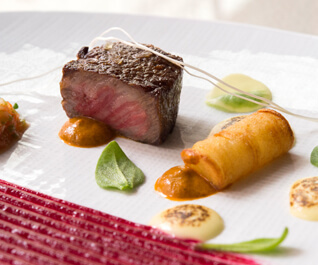 Chef Garces’ signature dishes are driven by the finest ingredients and feature an 8 or 12 course tasting menu. 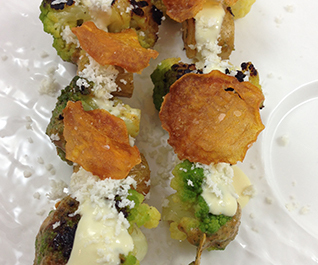 Culinary luxury at its best.